Self harm is the act of intentionally hurting oneself in a way that is impulsive and not intended to be lethal. According to Mental Health America, approximately 15% of teens and adolescents report some form of self injury. This percentage increases to 17%-35% for college students. These statistics, which are already troubling, do not account for the vast number of people whose self harm goes unnoticed. Self mutilation can take many forms. The most common form of self harm is cutting. However, other methods include: burning, excessive scratching, repeatedly banging one's head, punching one's self or other objects, and drinking harmful substances. Additionally, many people who self harm make an effort to keep their actions a secret. While self harm is often generalized to cuts on a person's wrist, injury can occur anywhere on a person's body. A person may have cuts on their hips, bruises on their upper arms, or damage to their internal organs. Therefore, it can not be assumed that a person with no visible wounds is not inflicting harm to themselves. The most obvious sign is visible injury, including cuts and burns. A person with these injuries may make excuses for how the injury occurred. For example, questions regarding cuts may be met with, "My cat scratched me." When asked about bruises, a person may simply say, "I fell." While both responses are plausible, consistent excuses should generate concern for the person's well-being. Constantly scratching a specific part of one's body may be done for several reasons. When cuts are healing and forming a scab, they tend to itch. A person may also be scratching as a more subtle form of self harm until they are alone. While scratching could be due to something as harmless as a mosquito bite, it could also be a sign of self injury. One reason that people self harm is to obtain relief from some negative state of mind. 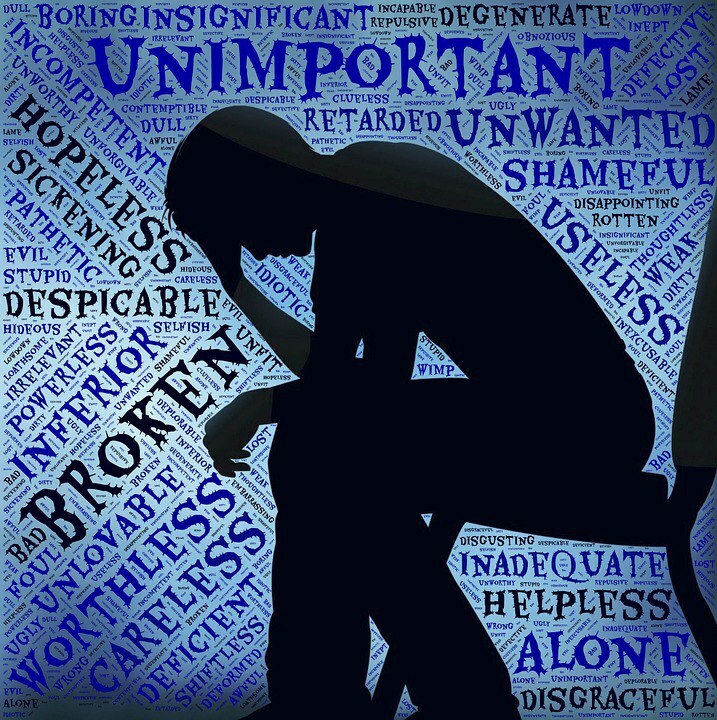 Persistent feelings of worthlessness, failure, and self-loathing should not be taken lightly. A person experiencing these feelings may suffer from self harm, depression, an eating disorder, or a combination of these and other mental health problems. Self harm often occurs when some form of mental illness is already present. Common psychological disorders in which people also self harm include: depression, anxiety, eating disorders, and borderline personality disorder. If a person is known to have one of these disorders and displays other warning signs, there is a high chance that self injury is occurring. Many people use the act of self harm as a way of coping with emotional distress that is difficult to express otherwise. A person may also seem irritable, easily offended, or constantly depressed. They may have recently experienced an event that caused these negative emotions to arise. People also self harm as a way of dealing with problems in relationships. They may feel anger towards another or blame themselves for the issues. They may self harm as a way of feeling in control when they feel like they have no control over other situations. A sudden shift in a person's social interaction may be indicative of self injury. People who withdraw themselves from friends and family may feel alone and misunderstood. They may also withdraw from hobbies, receiving little pleasure from the activities they once loved. These are just some of many warning signs of self injury. Be aware of the signs; do not ignore them. It is all too easy to turn the other cheek, but a person struggling with self harm needs help and support. I struggled with self harm on and off for several years before I was able to tell someone about it. I have had friends say, "If you hadn't told me, I would have never thought you were dealing with that." The warning signs are frequently missed, simply because nobody is looking for them. Please make an effort to look for them. Your actions could save a life. If you suspect that someone you know is struggling with self harm, do not confront them in an accusatory manner. Be gentle and ask if they are experiencing anything that they wish to discuss. If a person confides in you and asks you not to tell, it is not in their best interest to keep their actions a secret. Go to a trusted adult, such as a school counselor, that can assist the person in finding other helpful resources. For anyone who may currently struggle with self harm, remember that you are not alone.You are not a lesser individual because of the problems you experience. Admitting that you need help is not a sign of weakness; it is an act of strength. You are strong enough to get through these dark times. Contact one of the following hotlines and receive the help you deserve.